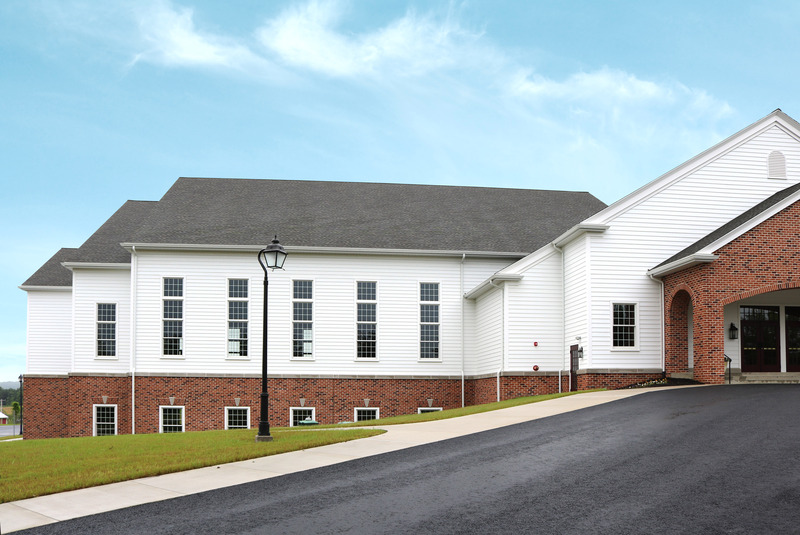 OAKMONT, PA (May 8, 2018) – Brick Lane Community Church in Elverson, PA recently built a large addition onto their existing facility and underwent an exterior renovation. The project called for siding on more than half of the exterior walls – but the building team at Stoltzfus Enterprises had not fully committed to one particular type yet. Brick Lane Community Church began in the 1970s as an apartment bible study group, and has since grown into a local church family of about 400 members and attendees. The continued growth of the congregation required an expansion to the church’s sanctuary space. 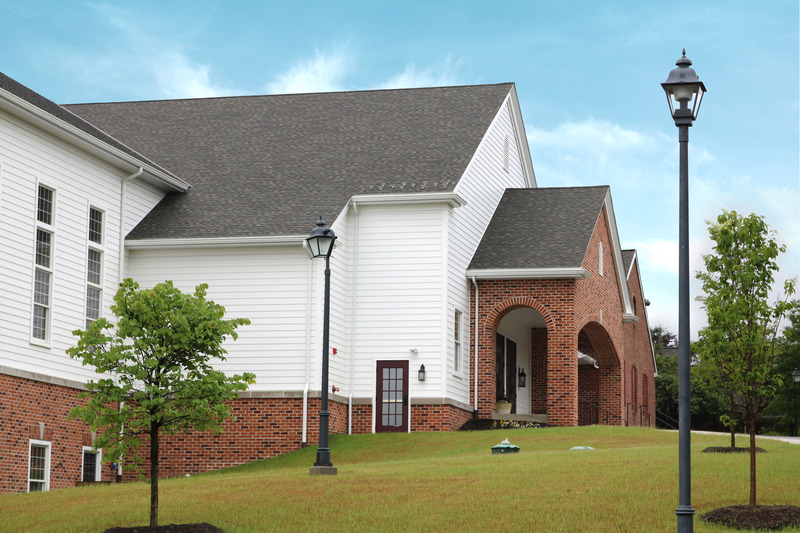 The Stoltzfus team had one composite product in mind and reached out to local remodeling contractor Hurst Exteriors, LLC of Lititz, PA for a recommendation on it. After researching, owner Dave Hurst and his team determined that Everlast® Advanced Composite Siding was a better choice compared to the product Stoltzfus had originally planned to use. “Everlast® was the best option because the planks are more durable, the wood grain is more realistic, and the product has a proven performance with a great warranty,” says Hurst. The church leaders requested a product that would perform for years to come. They wanted to achieve a visually appealing and inviting exterior for weekly Sunday worship, youth group, and other community events throughout the year. Chelsea Building Products, manufacturer of Everlast®, provided approximately 100 squares of siding in Polar White, 6-7/8” planks. The crisp white allows the red brick façade on the lower half of the building to stand out, as well as providing a stark contrast to the dark gray roof. Polar White maintains its own vibrancy too – holding its color year after year. Everlast® is lightweight yet durable, so the bundles of siding were easy to transport around the jobsite for Hurst’s crew. 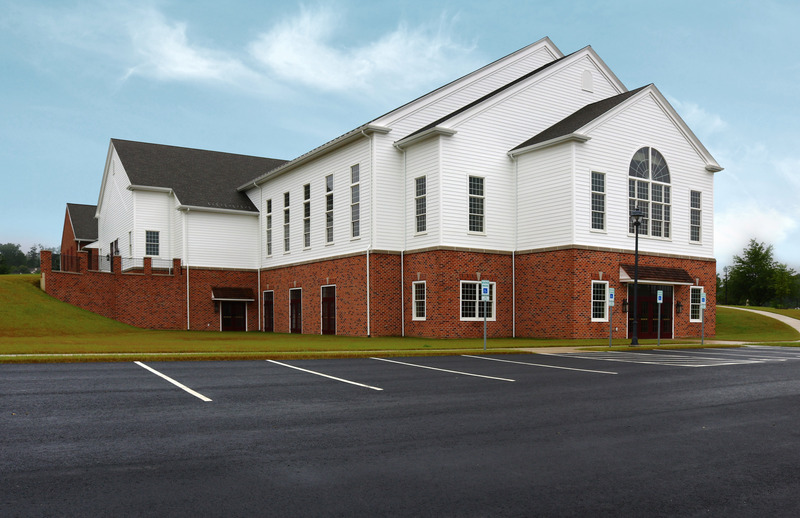 It is also water resistant and impermeable to wood-boring insects, meaning the church will never have to replace damaged planks or trim due to extreme weather or insect damage – issues commonly found in less durable siding products. Everlast® will never peel, flake, crack, rot, or blister; keeping the Brick Lane Community Church looking beautiful for life. General contractors typically install siding with their own crews, but after working with Hurst Exteriors on a recommendation, Stoltzfus Enterprises decided to hire them for the installation. 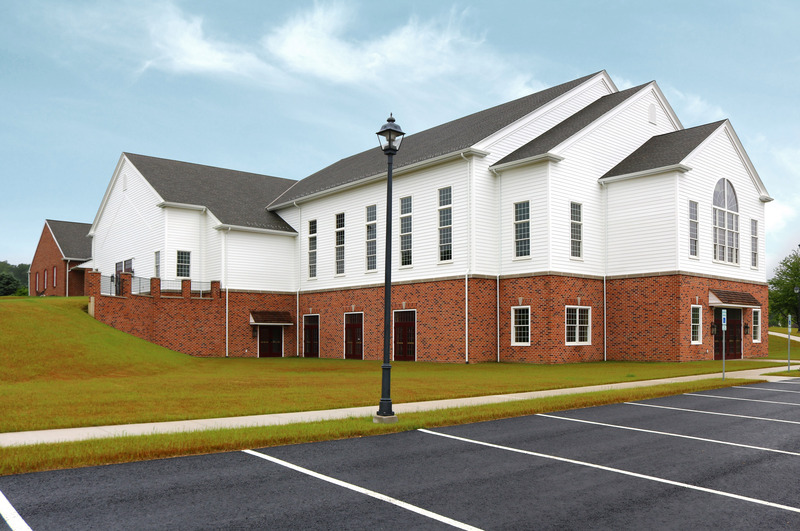 The church congregation expressed great appreciation for the material used, aesthetic outcome, and workmanship that was provided by Hurst’s team. “The church is very happy with the installation. In fact, we had members express interest in using Everlast® on their own personal homes in the future,” adds Hurst. 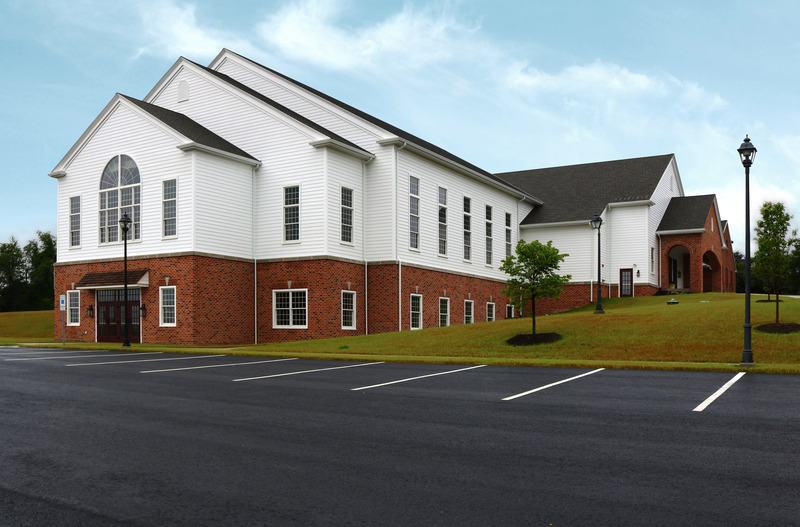 Chelsea Building Products is proud to be a part of the church’s growth and to supply the materials for a fresh exterior upgrade.